Just like those times when I was a kid, right before piling into the car to begin a family road trip, I was advised to make one final trip to the restroom before the group set off. I laughed mentally as the advice momentarily took me back to those halcyon days. Only this time the road trip wasn’t a trek across hundreds of miles for several days of visiting family and tourist attractions. 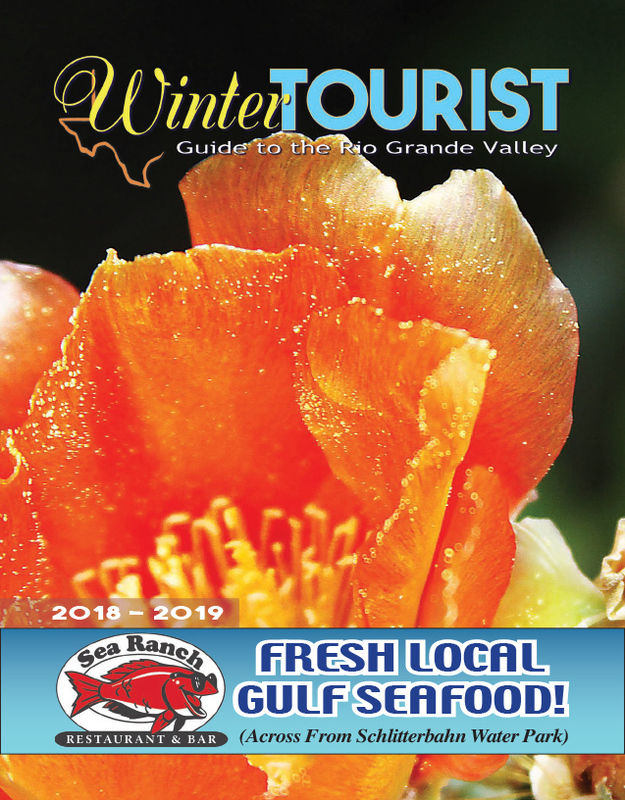 This time the road trip was a much shorter loop — 15 miles — and the sights I was about to see were the flora and fauna that call the Laguna Atascosa National Wildlife Refuge home. I’d signed up for one of the Refuge’s guided bus tours and had snagged one of the last available seats Saturday. The Refuge’s Bayside Drive was closed to public vehicular access several years ago after a couple of extremely endangered ocelots were killed by motorists. Now the only way a person can get out there is by logging some miles on their bicycle tires or hiking boots. Or, they can take one of the birding or habitat tours the Refuge offers. That’s the option I chose and I was excited. As we piled into the small bus a man from Great Britain shuffled through images on his high-tech camera gear until he came upon a photo of a small grey and yellow bird. He held the screen towards our bus driver, Jo, and asked if she knew what it was. “Oh, look! It’s a bird!” she exclaimed with lighthearted sarcasm to the chuckles of the rest of us passengers. A second later she and her tour partner, fellow volunteer Shannon, were flipping through books trying to figure out the bird’s species. Just outside my window, contrasted against the drabness of a scrubby tree that still hadn’t seen its spring flush of leaves, was a shocking spot of brightest red. The tiny creature was a scarlet tanager, one of several species of songbirds that pass through the Rio Grande Valley during the annual winter and spring migrations. Just as I was reaching for my camera the little bird — a male — fluttered into the air and right towards my window. For a few precious seconds it actually perched on the narrow ledge of the emergency window and seemed to look right at me. Everyone in the bus “oohed” and “ahhed” the surprise passenger before he flitted off again. Without missing a beat, Shannon quipped we’d have to pay an extra $5 for the guest appearance of the tanager which she had arranged special just for us. We all laughed as we got underway again. The tanager wasn’t the only pleasant surprise. While taking in the view of the Laguna Madre atop a wooden deck, an osprey flew mere feet from us clutching a fish in its claws. Later, a northern crested caracara practically posed for us as it perched in a yucca less than 10 feet from the road. At an overlook further on, a nilgai bull strutted on the flats in the distance surrounded by half a dozen nilgai cows. His blue gray coat contrasted with their red dun coloring. All too soon the two and a half hour tour came to a close back at the Refuge headquarters. As we stepped off the bus the man from Great Britain offered his compliments to Jo and Shannon. “You did a cracking job,” he said with admiration in his voice.